It's that time again. 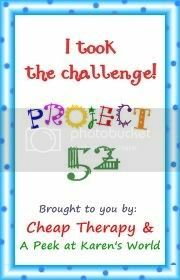 Here's what I've crossed off my Project 52 list. It's not much, but a lot of the things I've listed won't be completed until summer. I've read two more books bringing my total to five. Both of these are the second books in a series of three. I don't know what it is about trilogies, but I love them. If you'd like to keep up with what I'm reading and check out my reviews, you can follow me here on Goodreads. I took the kids to see Megamind on President's Day since I didn't have to work. 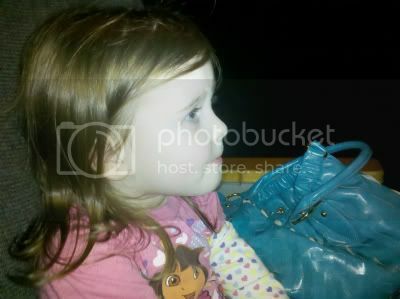 It was Little Bit's first movie theater experience. She sat there like a good little girl until the last 30 minutes. I kept her occupied with suckers and snacks so we made it to the end. Little Man and I really liked Megamind. Little Bit didn't really care either way. Hopefully I can see a non-cartoon movie real soon. 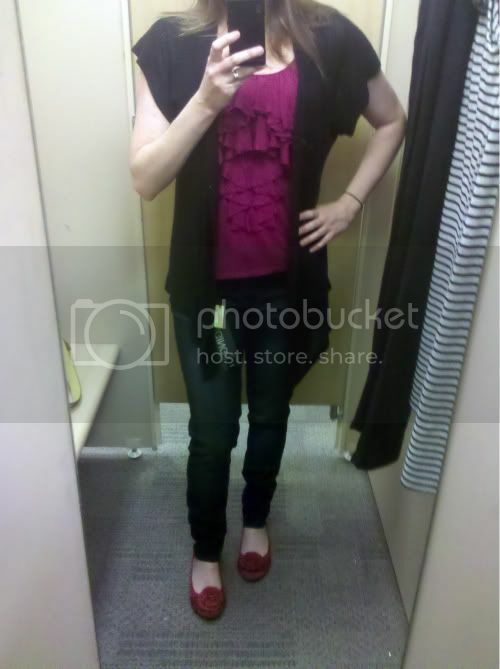 On one of my many recent trips to Target, I tried on a pair of jeggings. They weren't as stupid looking as I thought they'd be. They actually weren't much different than my skinny jeans. I ended up purchasing a pair in black. I haven't taken the tags off yet. I'm still not sure I really want them. You want them!!! They look adorable on you!! And I'm reading that Stieg Larsson book right now. You look great in the jeggings!! Those jeggings are adorable! I hope you got them!! Love that you are reading books and letting us know which ones you have read! I am always looking for new books to read! 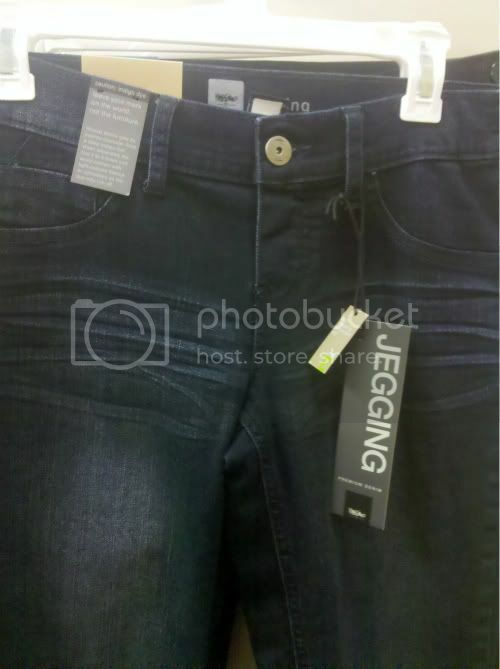 I think the jeggings look adorable! I think the tightness dresses up casual outfits especially paired with ballet flats - or at least that is what I'm telling myself so I will continue to wear mine through the Spring and not shelf them until next winter when I need to tuck my boots over them. I have wanted to see Megamind! Good for you for knocking stuff off your list!!! No I want some jeggings. I love my jeggings! And i haven't seen a grown up movie in I'm not sure when- definitely too long ago. I just saw a new teaser for True Blood Season 4 - I'm sure it's a lot of places, but I saw it on Pink is the New Blog - TO DIE!!! Shirtless Eric!!! jeggings make me look fat. true story. you look hot. I'm way too short for skinny jeans or jeggings. I'd just look like a stump. You however pull them off with those gams! At least the animated movies seem pretty entertaining these days. I'm reading The Girl Who Played With Fire too. I like it so much better than the first one, and the jeggings look cute! I've had The Girl With the Dragon Tattoo sitting in my desk since about October. One of these days I'll get around to reading it! Those jeggings look great on you. I normally don't condone them, but I say wear them! 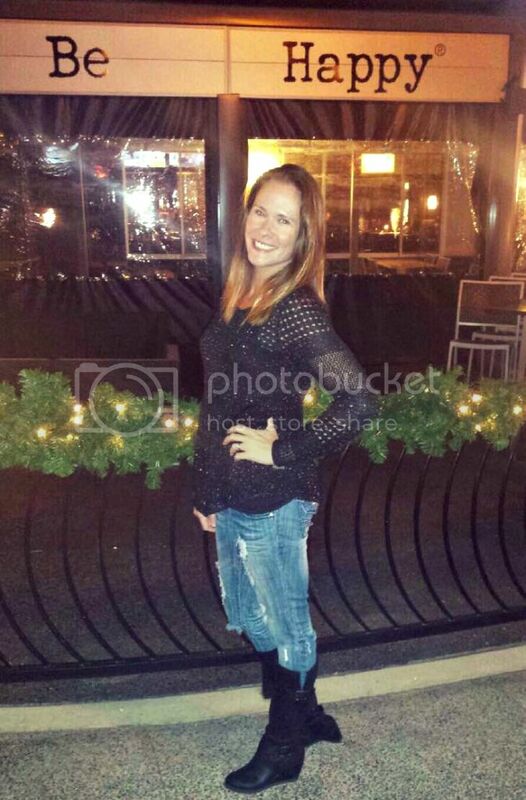 I love my jeggings and you look absolutely adorable in them! I am actually in the middle of reading The girl with the dragon tattoo. I have yet to try on skinny jeans or jeggings. I just don't think they'll work on me, but I guess I should try before I knock.